Prior to leaving Manila (with a connecting flight in Hongkong) for an exciting adventure, I have been told by few friends on how stringent the security is prior to entering the Holy Land of Israel. I was told that prior to being allowed entry inside the state, questions asked at the immigration could be very stern, firm and exacting. Thus, prior to leaving my apartment in Manila, I internalize and assumed the thoughts of a beauty pageant contestant. Armed with a smile like that of a docile idiot, I guess talking about hope, happiness and world peace would be the best answers for the Israeli immigration officer to allow me in. But what surprised me about the exceptional and unique airport experience I had on travelling to Israel was the time when I and my sister (whom I am travelling with) needs to get our El Al (Israeli Airlines) boarding pass at the Hongkong Airport. All passengers of the El AI flight were gathered and escorted to W1 desk where the boarding pass will be issued. But prior to the issuance, I then have encountered the rarest airport experience I had. All of us passengers would first have to line-up so that we would have to be interrogated one-by-one by an Israeli airport security (I suppose). The questions were so plenty, we have not even landed to Israel! Tons of questions were thrown at me and my sister – how are we related, who packed our luggage, when did we packed it, do we know someone in Israel, what are we gonna do in Israel, if we live together in one house, is the lock of our luggage is key operated or of a number combination, are the luggage keys complicated or plain and simple, etc. It was so plenty, I never had the chance to incorporate hope, happiness and world peace in my answers. To add more rarity to the experience, we were then ordered to show then surrender our luggage keys to the solicitous interrogating officer. He gently explained that our luggage would have to be opened and rigorously inspected (because someone in transit might have planted a bomb inside) before it be towed inside the plane. Thinking of rather being safe than sorry, we of course issued our respective keys and were told to claim the same at the gate prior to boarding. We were then pointed to proceed to the W1 desk for the issuance of our respective boarding passes. The only usual thing I experienced inside Hongkong airport was the grumpy face and cantankerous attitude of the Hongkonese issuing our boarding pass. While asking this Hongkongnese to make sure that I and my sister be seated together preferably at the aisle, I was actually thinking of rather answering the countless questions of the calm and mild Israeli security than that of talking to the rude and impolite Hongkonese airport staff. When we arrived in Ben Guiron Airport in Tel Aviv, we again were barraged with multiple questions at the immigration desk before we were allowed inside Israel. I was actually not irritated nor upset. I in fact appreciated the rigorous (yet smooth) security measures that the Israeli Security carries out. Knowing how crazy the world – the universe rather – that we live in right now, these safety efforts and security measures would really be something worth appreciating. Gusto ko pa naman sabihin yung… “byuti wid a hart” Hahaha! With the advent of NAIA being named as the worst airport in the world and with the long over-due plans of improving it, the government neither the Manila International Airport Authority (MIAA) should not aim for the-now-hideous NAIA to become the best airport in the world. With the constant improvements in their respective airports done by richer countries, NAIA will never become the best airport in the world. But instead, MIAA should aim for NAIA to be the most honest and most caring airport in the world. This goal I guess is more feasible. Present people working in NAIA seem to have imbibed the distorted culture of corruption, thievery and extortion. Sorry if I maybe too harsh but that is the image they project. And that is how I and a lot of travelers perceive them to be. Not all workers in NAIA, if I may say, are like these but those crooked individuals seem to have effectively impinged everyone. Because if all people working in NAIA will simply be caring and be honest, everything else will follow like: (i) the sky rocketing 8.5 billion pesos annual collection from terminal fees will be used on where it is supposed to be used, i.e. 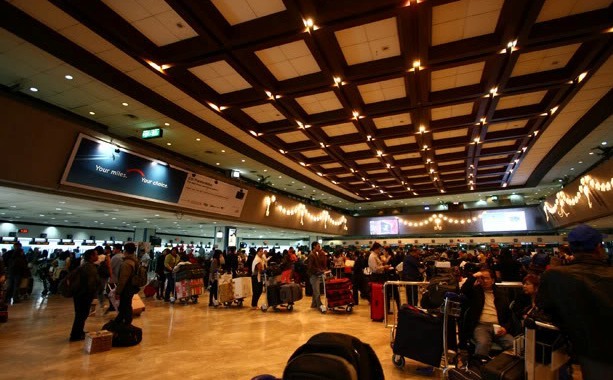 facilities upgrade and improvement; (3) it will encourage reputable restaurants and boutiques to operate business in the airport; and (iii) a feeling of a more welcomed and more secured 10.5 million passengers that passed through NAIA every year. I may want NAIA to be grand, luxurious and elegant but for now all I need NAIA to be is simply be caring and be honest. Sin verguenza mahabaging langit! Umayos ka.